With over 100 years of combined experience, Columbia Metal Spinning & Craft Metal Spinning offer their customers top-quality service and expertise. Our ISO 9001:2015 and IATF 16949:2016 certification ensures that our quality management system provides for continual improvement with an emphasis on defect prevention and reduction of variation and waste within our processes. You can be assured that we will exceed your expectations. 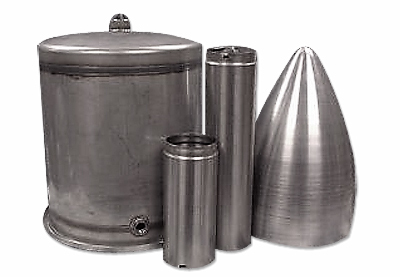 We have the ability to work with almost any material including aluminum, Hastelloy, Inconel, stainless steel, and titanium. Utilizing both CNC and manual equipment allows us to spin materials as thick as ¼" and as large as 80" in diameter. 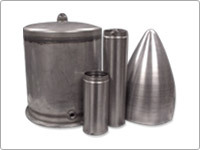 We deliver tolerances well within ±.001" and will meet the most stringent customer requirements. With secondary services such as drilling and tapping available, Craft & Columbia Metal Spinning provides our customers a full service machine shop. Our measuring equipment is of the highest quality and is routinely calibrated in-house or through certified and accredited calibration labs. We serve many industries: oil, automotive, electronic, and military industries are just a few. To learn more about our metal spinning capabilities, please contact us.